TechTV, the only cable television channel covering technology news, information, and entertainment from a consumer, industry, and market perspective 24 hours a day, brings you the flavor and charisma of their network in a book that will teach the fundamentals of Windows XP. This highly accessible book teaches how to get up-to-speed quickly and how to connect XP to the online world of web browsing, e-mail, and instant messaging. In addition, this second edition contains updated information on multimedia capabilities, wireless networks, broadband connections, and the release of MSN Messenger 8. 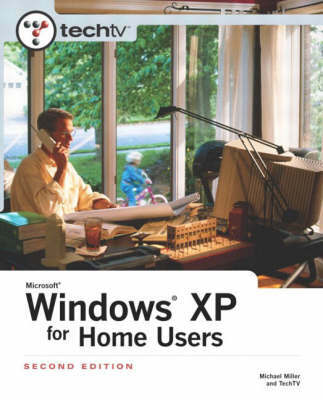 You'll learn how to set up XP for all the members in a family, install on portable PCs, and how to have some fun with this operating system.